Oh and look! It was featured in the Portland Tribune! 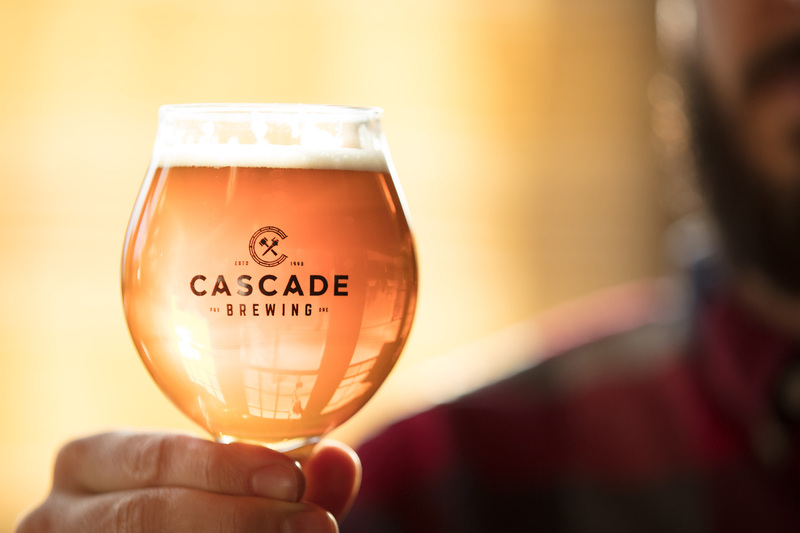 We’ve been thrilled by the reception the new Cascade logo and packaging has received and feel so honored to have been a part of this revolutionary rebrand. 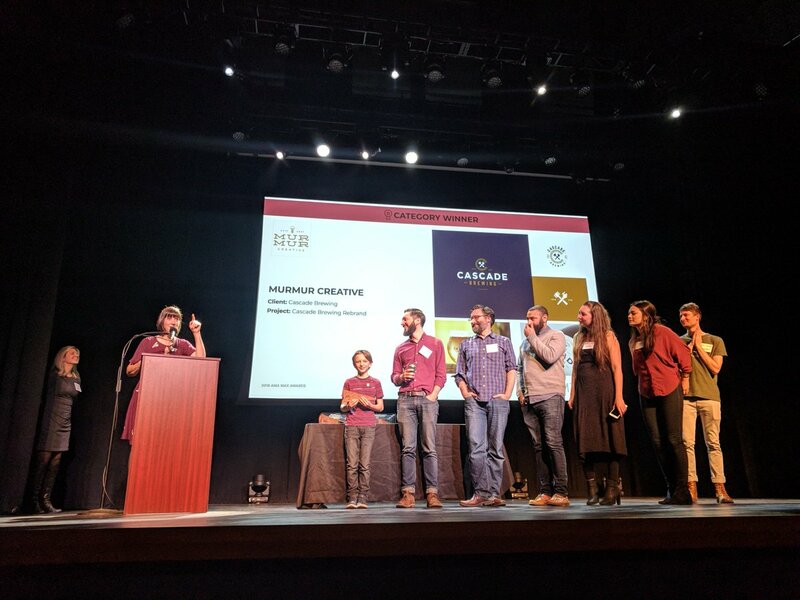 Cascade Brewing initially came to us with a problem: when they sold their bottles in stores, customers seemed confused about their positioning. As artisinally crafted, barrel-aged sour beers, Cascade sells at a higher price point than many other local beers. They also have three product tiers that they needed to differentiate clearly for customers while maintaining a consistent brand identity. 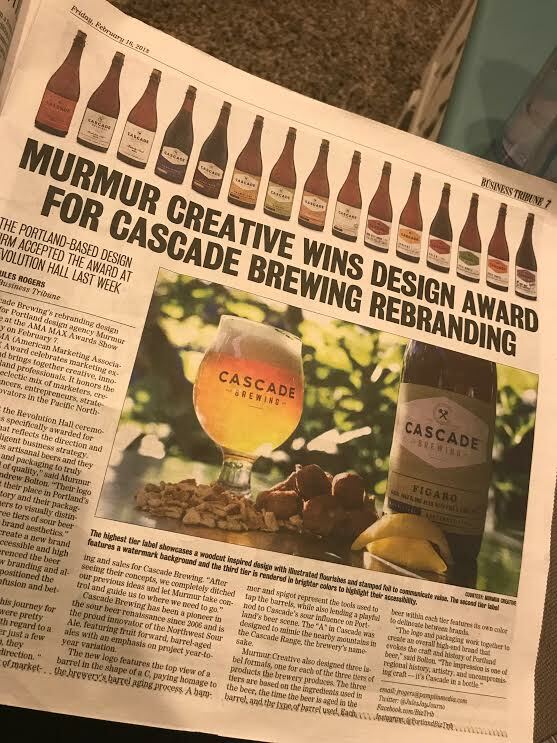 We didn’t want customers to confuse Cascade with other spirits, but we wanted to communicate some of the artistry and value of wine or whiskey in a way that felt like beer. We began with a new logo inspired by the barrel aging process. We also played with historical revolutionary iconography to create the hammer and spigot design. The new packaging incorporated the new logo on a field of fun bright colors for the initial tier, a watermark background for the middle tier, and a stamped foil flourish for the highest tier. All the packaging comes together to evoke a sense of place, history, and artistry. It’s the Cascades in a bottle. And now that bottle has a super-cool trophy! Learn more about this branding project here.